Spin-orbit coupling links spin and momentum degrees of freedom by the Hamiltonian H = ξLS (L, S: orbital momentum and spin operators, ξ: coupling strength). It is the origin of phenomena such as magnetocrystalline anisotropy and anisotropic magnetoresistance, which are of fundamental interest and important for sensor applications. 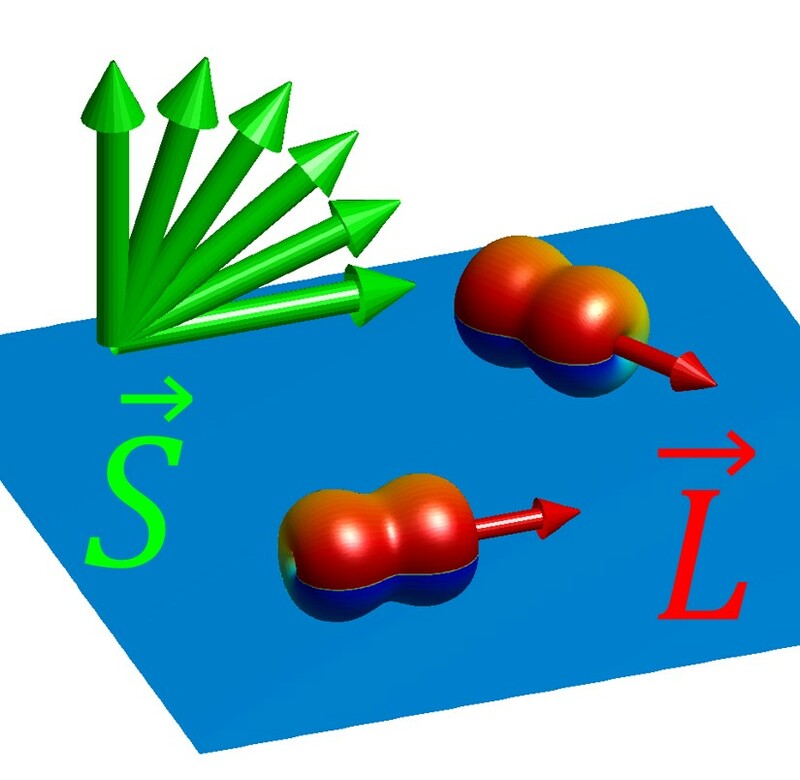 To tune spin-orbit coupling at a single atom, the high rotational symmetry of the atom should be reduced. Johannes Schöneberg, Alexander Weismann and Richard Berndt achieved this by constructing dimers from single Pb atoms on an Fe double layer substrate, whose domain pattern exhibits suitable magnetization directions. First-principles calculations by Paolo Ferriani and Stefan Heinze reveal the molecular orbitals that cause the large observed anisotropic magnetoresistance. The results are published in Physical Review B "Tunneling anisotropic magnetoresistance via molecular Pi orbitals of Pb dimers" and have been highlighted by an Editors' suggestion for papers that the editors and referees find of particular interest, importance, or clarity. Torben Jasper-Tönnies, Aran Garcia-Lekue, Thomas Frederiksen, Sandra Ulrich, Rainer Herges, and Richard Berndt has recently been published in Physical Review Letters and highlighted as Editors' Selection. At the meeting of the condensed matter division of the German Physical Society Dr. Guillaume Schull will be awarded the Gaede Preis 2017 for the work performed in the Berndt group. Although Yong-Feng Wang left Kiel University five years ago the cooperation with the colleagues from the SFB 677 and the group of Professor Richard Berndt at the Institute of Experimental and Applied Physics still continues. 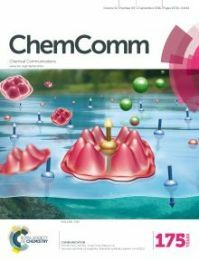 Most recently a joint paper about the vacuum synthesis was published as a cover story of the journal Chemical Communications. Since 2006 Wang worked as a postdoc in the group of Professor Berndt and was involved in numerous publications. 2012 Wang went to Peking University, by now he leads a group at the Key Laboratory for the Physics and Chemistry of Nanodevices, Department of Electronics himself. “Results like these show how international successful the early career scientists of our Collaborative Research Center are. I am very glad the cooperation with Yong-Feng Wang continues despite the distance between Peking and Kiel”, says Richard Berndt. “My time in Kiel was the most important period in my scientific career“, Wang sums up. “Here I learnt how to find important scientific questions, how to solve them, how to make high-quality scientific figures, and how to write high-level papers.” Since he left Kiel Wang came back for two longer research stays to work with Berndt again. In future, he hopes to set up an international cooperative lab to continue their collaborative work. Professor Nicolas Lorente war vier Wochen als Mercator-Fellow des SFB 677 in der Arbeitsgruppe von Professor Richard Berndt zu Gast. Prof. Lorente stammt vom Donostia International Physics Center in San Sebastian und ist der international führende Experte für inelastische Prozesse im Rastertunnelmikroskop. Er unterstützt die Kieler Gruppe dabei, verblüffende experimetelle Daten zu verstehen. Reinhardt Schuhmann, editor of Physical Review Letters, recently presented a collection of articles to celebrate the 35th anniversary of scanning tunneling microscopy and the 30th anniversary of atomic force microscopy. Among these papers is Surface-State Lifetime Measured by Scanning Tunneling Spectroscopy by Jiutao Li, Wolf-Dieter Schneider, Richard Berndt , O. R. Bryant, and S. Crampin, Phys. Rev. Lett. 81, 4464 (1998). It has been made free to read. During the recent meeting of the condensed matter division of the German Physical Society Dr. Manuel Gruber successfully competed for the PhD thesis prize of the magnetism division (ThyssenKrupp Electrical Steel PhD prize). Manuel carried out his pioneering studies at the Karlsruhe Institute of Technology with Prof. Wulfhekel and the University of Strasbourg with Dr. Beaurepaire. He explored the impact of molecules on the magnetic properties of inorganic substrates as well as the possibility to switch the magnetization of individual molecules adsorbed on surfaces. As a postdoc with Prof. Berndt he is presently working on related topics within SFB 677. A molecule is magnetic (more precisely: paramagnetic) when its number of electrons is odd or when it contains transition metal ions like iron. Sujoy Karan from the group of Prof. Berndt investigated all-trans-retinoic acid, a non-magnetic bio-molecule with an even number of electrons, on an inert gold surface and observed that, surprisingly, the molecule may be made magnetic by passing current through it. Once it is magnetic, it may be switched back to non-magnetic. This process may be repeated and does not affect neighboring molecules. Currently, these observations are a serious challenge to state-of-the-art theory. From a broader perspective, they suggest that it may be possible to custom-make arbitrary arrays of ultrasmall magnets on surfaces using an unforeseen class of molecules. In addition, living organisms utilize retinoic acid for signal transduction. Whether effects related to the new observation may play a role in organisms is yet unknown. The experimental results from Kiel and Beijing along with theory from Munich recently appeared in Physical Review Letters. Interpreting electron transport through molecular junctions lies in the broad interest of understanding nanoscale junctions, which are sensitive to both physical and chemical parameters. In a Letter recently published in Physical Review, Sujoy Karan, and colleagues from the group of Professor Richard Berndt, the Max-Planck-Institut für Mikrostrukturphysik and the Universities of Hamburg and Würzburg report how the electrostatic potential is distributed across a junction comprising single molecules coupled to macroscopic electrodes. Contacting a porphyrin molecule on gold in a low-temperature scanning tunneling microscope, they showed a way to utilize a sharp spectral feature to obtain information on the local potential of the molecule. The paper is featured in APS Physics. Noise in electronic circuits is an inevitable nuisance. How does it change when a circuit is scaled down to the ultimate limit of a single atom? In a recent publication in Physical Review Letters Andreas Burtzlaff, Alexander Weismann and Richard Berndt together with Mads Brandbyge from the Technical University of Denmark report the first experimental data on the shot noise of the current through single magnetic atoms. The noise turns out to be surprisingly low. The sophisticated measurements are complemented by state-of-the-art transport calculations and reveal that the electron spin plays a crucial role in lowering the noise level. The article has been highlighted by an Editors' Suggestion. The way electrons move through a single atom contact is similar to a crowd of people passing through a revolving door. When such a door works smoothly people leave it at a constant rate. This corresponds to electrons passing through a fully open quantum transport channel of the atom. However, it may happen that a channel randomly reflects some of the electrons that are coming in. This is analogous to a door that occasionally gets stuck. The resulting irregularities of the flows of people or electrons thus provide an extra piece of information about the door or the atomic channel. In the case of electrons, the randomness leads to noise of the current which may be amplified to become audible. The experiment adds another twist by having different channels for opposite spin orientations of the electrons. This is comparable to having separate doors for, e. g., men and women. The noise of the electron current reveals that the transmission through magnetic atoms depends on the electron spin. This corresponds to men and women getting stuck in their respective doors with different probabilities. The former information will be useful in better understanding spin transport at the ultimate limit of miniaturization. The latter probably suggests that it's time to call a mechanic. Dr. Nadine Hauptmann was awarded with a best poster prize for her presentation entitled "Force and conductance in molecular junctions" at the 543th Wilhelm and Else Heraeus Seminar in Bad Honnef. Under the topic "Electron Transport through Atoms, Molecules and Nanowires: Advances in Theory and Experiments", the seminar brought together around 70 experts of this research field. Dr. Nadine Hauptmann is a post-doc in Professor Richard Berndt's group and works on forces and transport properties of single molecules using a combined low-temperature scanning tunneling and atomic force microscope. The interaction of light and molecular junctions between metallic surfaces is a challenging topic bridging nanoelectronics and plasmonics. 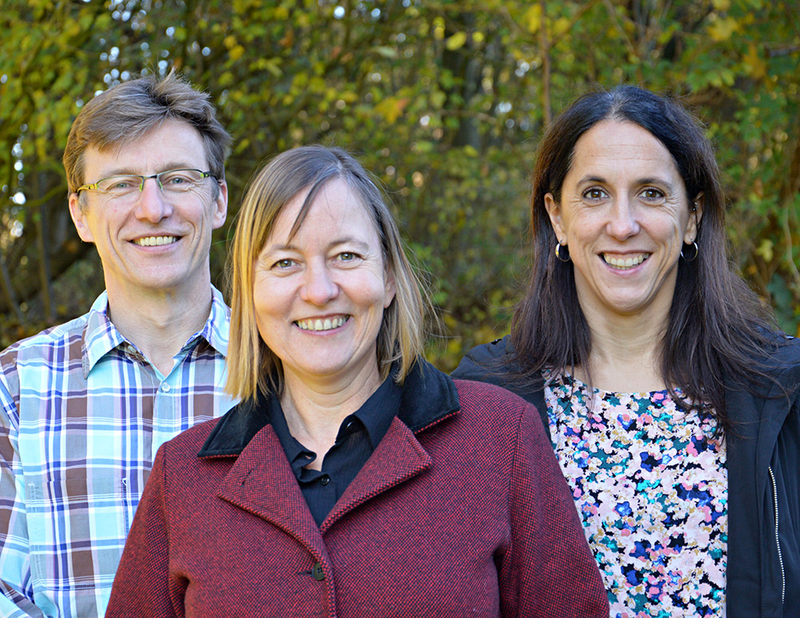 In a recent publication in Physical Review Letters Natalia L. Schneider and Richard Berndt together with their colleagues Jintao Lü and Mads Brandbyge from the Technical University of Denmark report the first investigation of light emission from a single molecule junction in the limit of strong coupling of the molecule to the metallic leads. The light emission is used to probe quantum shot noise and charge fluctuations at the biased junction. The new insight provided by the experimental technique and the theoretical approach have been highlighted by an Editors' Suggestion. that nanoscale plasmons may be used to remotely excite molecules to fluoresce. The plasmons in turn are excited by an electrical current, which makes the experimental approach particularly attractive as no background light is involved. The article has been selected for an "Editors' Suggestion" of Physical Review. A poster prize has been awarded to Nadine Hauptmann at the 15th International Conference on non-contact Atomic Force Microscopy 2012 in Cesky Krumlov (Czech Republic). The prize was sponsored by the company Specs for an excellent poster presentation and outstanding research topic. The conference was devoted to the latest progress in dynamical atomic force microscopy and brought together 200 scientists from all around the world. Nadine is currently working on her Ph.D. in Prof. Berndt's group. Within her Ph.D. project she investigates molecular switches using combined STM and AFM m easurements. Her topic is a key subject in the SFB 677 "Function by switching". In particular, her work focuses on the acting forces when contacting the molecules with a metal electrode. Dr. Christian Hamann wurde für seine Dissertation "An electrospray ion source for ultra-high vacuum deposition of organic molecules" mit dem Förderpreis der Ralph Norwid Schindler Stiftung ausgezeichnet. Der Preis wurde beim Sommerfest des Fördervereins der Mathematisch-Naturwissenschaftlichen Fakultät am 26. Juni überreicht. Er besteht aus einer Urkunde und einem Preisgeld. Während seiner Promotion bei Prof. Berndt, Institut für Experimentelle und Angewandte Physik, entwickelte Dr. Hamann eine neue Quelle für reinste Molekülstrahlen, mit der Oberflächen beschichtet werden können. For using single molecules as building blocks in spin-electronics (spintronics) it is important to be able to manipulate their spin state. In metal-organic complexes this is achieved by co-ordinating ligands to a metal centre, which leads to ligand-induced spin switching (LISS). Alternatively, spin crossover (SCO) complexes may be used, whose spin state may be controlled by temperature, light, pressure or magnetic fields. In contrast to LISS, SCO does not require chemical changes of the molecule. While the SCO effect has long been know from bulk materials control of the spin state of single SCO molecule has now been demonstrated for the first time by Gopakumar et al. By injecting electrons into selected molecules the IEAP researchers switched molecules between states with low or high spin. The work has been performed in a collaboration of the Tuczek and Berndt groups with funding through SFB 677. It has been selected as a Hot Paper in Angewandte Chemie. At the 22th Edgar Lüscher Seminar, in Klosters, Switzerland, Alexander Sperl was awarded a prize for his poster presentation. The meeting covers various aspects of modern physics. Alexander presented the controlled metalation of a single phthalocyanine molecule with the tip of a scanning tunneling microscope. He is currently working towards his Ph.D. in Professor Berndt's group. His research is focussed on single molecule chemistry, which is a key subject of the Sonderforschungsbereich SFB 677. At the 21th Edgar Lüscher Seminar, in Klosters, Switzerland, Alexander Sperl was awarded a prize for his poster presentation. The meeting covers various currents aspects of solid state physics. Alexander presented an optimized analysis procedure for scanning tunneling spectroscopy data. He is currently is working towards his Ph.D. in Professor Berndt's group. His research is focussed on single molecule chemistry using low-temperature STM. At the 5th international meeting on molecular electronics, ElecMol'10, in Grenoble, France, Dr. Francesca Matino, post-doc in Professor Berndt's group, was awarded a best poster prize, sponsored by Nature Publishing Group (NPG) and Wiley. The meeting brought together more than 300 scientists, who are working on various aspects of molecular electronics, from all around the world. Francesca's work is focused on the electronic properties of self-decoupling molecules on metal surfaces. She has investigated vibronic excitations in the tunneling spectra from rigid cyclophanes. Moreover, within SFB 677 ''Function by switching'', she explores the switching capabilities of an azopyridine substituted porphyrin platform. Francesca Matino enjoys a collaboration with colleagues at other institutes: Dr. G. Schull, CNRS Strasbourg; Prof. M. Mayor, Universität Basel, Prof. R. Herges, Institut für Organische Chemie, Universität Kiel. poster prize, which is comprised of a certificate and prize money. Electrospray deposition in ultra-high vacuum is an appealing approach for depositing fragile or non-volatile organic substances on surfaces. Mass selectivity, obtained by a quadrupole mass spectrometer, is particularly important for those materials and enables removal of molecular fragments and solvents or other impurities. Christian is currently doing his doctorate in Prof. Berndt's goup. Within his Ph.D. project, he designed a new electrospray deposition apparatus. This instrument is adapted to a cryogenic combined scanning tunnelling and atomic force microscope system. Graphene is a two-dimensional form of carbon with unique electronic properties, which make it the most lively field of condensed matter research. In his Ph.D. project in Professor Berndt's group, Simon Altenburg is investigating Graphene layers on metal surfaces. He discovered that the chemical reactivity of graphene on a metal substrate varies in a regular fashion on a nanometer scale. This opens interesting perspectives for creating regular arrays on graphene. At the 11th edition of TNT, Trends in Nanotechnology<>, in Braga, Portugal, this work was selected for the best poster prize of the French research network GNT. The prize is comprised of a certificate and prize money. TNT is organized by Phantoms Foundation. The conference brought together 290 scientists from all around the world, who are working on various aspects of nanoscience and nanotechnology. 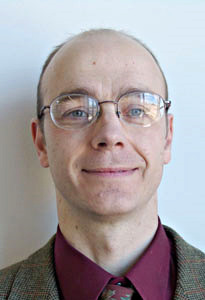 Simon Altenburg enjoys a collaboration with several colleagues at other institutions: Jörg Kröger (Technische Universität Ilmenau), Bin Wang and <a href="http://perso.ens-lyon.fr/marie-laure.bocquet/">Marie-Laure Bocquet</a> (Université de Lyon), and <a href="http://www.cin2.es/english/staff-personnel-list-member.php?miembro=62"> Nicolas Lorente</a> (CSIC-ICN, Barcelona). At the 11th edition of TNT, Trends in Nanotechnology, in Braga, Portugal, Natalia Schneider was awarded the best poster prize, which is comprised of a certificate and prize money. Natalia is investigating ultrasmall conductors: single metal atoms sandwiched between two electrodes. Her experiments showed that electrons flowing through a single atom generate high-frequency noise, which causes the emission of visible light. This noise may be partially suppressed by tuning the resistance of the conductor. Natalia is working towards her Ph.D. in Professor Berndt's group. She performed many of the experiments together with Dr. Guillaume Schull, CNRS Strasbourg. The workshop was organized by Phantoms Foundation. It brought together 290 scientists from all around the world, who are working on various aspects of nanoscience and nanotechnology. In the most recent issue of Physical Review Letters, the Berndt group reports on the first successful experiment demonstrating control of the electron pathways through a single molecule. The article is being featured by the American Physical Society by a synopsis in "Physics - Spotlighting exceptional research". The article is also been selected for an "Editors' Suggestion". In the most recent issue of Physical Review Letters, the Berndt group reports on the first controlled molecule-molecule contact. The article is being featured on the cover of this issue. It is further discussed in a Physical Review Focus story and has been selected for Editors' Suggestions. Am 24.4.2009 fand die Feier für die Absolventen des Jahres 2008 statt. Nach einer Begrüßung durch den Sektionsvorsitzenden überreichte der Präsident der CAU, Prof. G. Fouquet, den Physik-Absolventen die besten Wünsche für die Zukunft und erinnerte mit Rückgriff auf Dürrenmatts Stück "Die Physiker" an die besondere Verantwortung, die sie zu tragen hätten. Für die besten Diplomarbeiten wurden ausgezeichnet: Frau Nadine Hauptmann, Titel der Diplomarbeit: "Low Temperature Scanning Tunnelling Microscopy and Spectroscopy of Superconducting V_3Si" Herr Hanno Kaehlert, Titel der Diplomarbeit: "First-principle simulation of classical charged particles in traps"
At the workshop on Molecular and Organic Electronics: Bridging the Gap Natalia Schneider was awarded the best poster prize, which is comprised of a certificate and prize money. Natalia is currently working on her diploma project in Professor Berndt's group. Together with Dr. Guillaume Schull, a postdoctoral fellow, who joined the group in 2006 after his PhD at CEA Saclay, she is looking at the light which is emitted from a single metal atom sandwiched between two electrodes. "This is a new experimental approach which I hope will lead to fundamental insights into the transport of electrons which are confined to single atom or single molecule structures" says Natalia Schneider. The workshop, which took place at the Physikzentrum Bad Honnef, 26 - 29 January 2009, was organized by Professors Saw-Wai Hla (Ohio University, Athens, Ohio, USA), Jürgen Rabe, Norbert Koch (both Humboldt University, Berlin, Germany) and Mark Ratner (Northwestern University, Evanston, IL, USA) and supported by the Wilhelm und Else Heraeus Foundation. It brought together an group of some 70 scientists from Europe, Israel, the US and Japan, who are working on various aspects of molecular nanoscience. Artikel der Ag. Berndt am 9.2.2007 in Phys. Rev. Lett. Constant current scanning tunneling microscopy image of C60 molecules adsorbed on a copper surface. The molecules are arranged in a hexagonal lattice, with bright and dark rows located at different adsorption sites on the copper. Die Mathematisch-Naturwissenschaftliche Fakultaet der Uni Kiel hat Prof. Lutz Kipp zum Prodekan gewählt.